Judaism’s primary daily prayer has two common names in Hebrew, called the Amidah (because a person stands for the prayer), and the Shmoneh Esrei (which means “18” for the 18 blessings in the prayer). However, in reality, the Shmonesh Esrei has 19 blessings, as an additional one was added about 1900 years ago. The nineteenth blessing was added by Jewish sages due to divisions within Judaism around the 2nd century CE. The background story resonates in some format today. After the destruction of the Second Temple in Jerusalem in 70CE, the traditional model of Temple service was terminated. In its stead, rabbinic Judaism as outlined by the Pharisees, began to take root as the new established norm. It included traditions such as the Oral Law, which became codified in the Gemara or Talmud. A competing group, the Sadducee sect, did not believe in the Oral Law and rejected the Pharisees’ Gemara. In reaction to that rejection, according to the Gemara in Berakhot 28b and 29a, Rabban Gamliel, the leading rabbi of the 2nd century, considered how to minimize the influence of the Sadducee sect within the Jewish community. In an attempt to keep the Sadducees from infiltrating the minds and hearts of the nation, he had a new blessing composed against these “heretics” to be inserted into the Shmoneh Esrei. 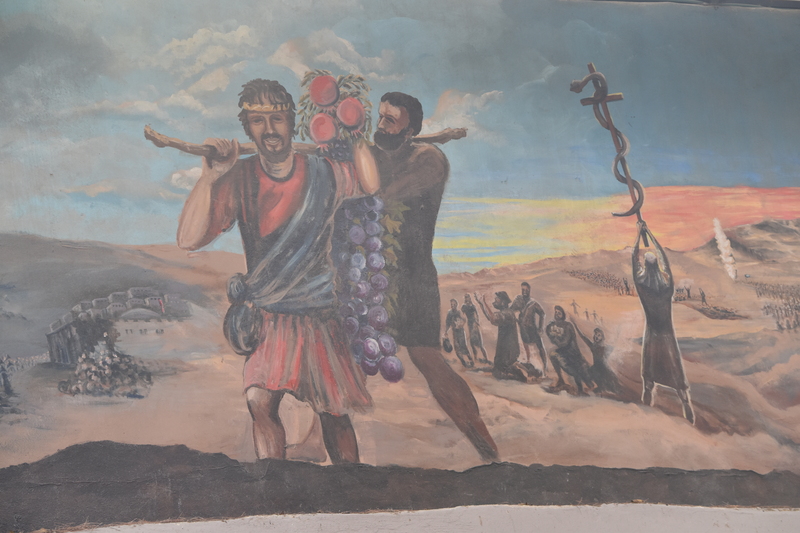 As detailed in Berakhot, the goal of inserting the new blessing in the primary prayer was that Sadducees would not join in such service which cursed their efforts, and would disassociate themselves from the community. How could a person stand in prayer with a community that was reciting blessings that cursed them? Interestingly, the Gemara did not offer a more straightforward explanation of the blessing: that Jews wanted the efforts of these heretics to fail and were collectively rejecting their views of Judaism. And for slanderers may there be no hope; and may all wickedness be destroyed instantly and may all Your enemies be cut down quickly. Quickly uproot, smash, and cast down the arrogant sinners and humble them quickly in our days. Blessed are You, O Lord, Who breaks enemies and humbles arrogant sinners. Today, the prayer is normally translated to be against as “slanderers” rather than “heretics” as intended 1900 years ago. The difference is significant in terms of intention, but perhaps less meaningful in terms of population, as discussed below. The notion of condemning “heretics” was religion-oriented. These people were “enemies” of God, distorting His laws. They stood against God and were “arrogant sinners,” a corrupting force against organized and unified religious practice. Seen from today’s perspective, heretics may mean people like “Jews for Jesus.” They are people who nominally state they are within the Jewish community but espouse views that are not in concert with Judaism. As opposed to Christianity, Islam, Buddhism and other religions which are viewed as completely distinct from Judaism and therefore neither addressed nor condemned, the blessing targets missionaries within the Jewish fold who seek to distort and undermine rabbinic Judaism. While heretics are enemies of religion, slanderers are enemies of the people. Two thousand years ago, the Pharisees and Sadducees did not only split on religious matters, but also on political ones. While the Pharisees delved into the meaning and application of Oral Law, the Sadducees were more politically-oriented. The Sadducees conspired and worked with the Romans, reporting on fellow Jews. They leveraged influence not just for their own benefit, but to undermine and harm fellow Jews. In modern times, slanderers could mean Jewish groups like “Jewish Voice for Peace.” This organization actively seeks to wage an economic war against all Jews living in the eastern part of the Jewish homeland and much of Israel as well. Another is “J Street” which actively lobbied the US Obama Administration to label Jews living in the Old City of Jerusalem and the “West Bank” as “illegal,” pushing passage of UNSC Resolution 2334. The 19th prayer against heretics/slanderers found above is as printed in Orthodox prayer books today. This blessing has been deleting from the Shmoneh Esrei in Reform synagogues. There are a few possible reasons for the active deletion. Reform Jews may have deleted the blessing as they did not want prayers to include condemnation of fellow Jews. Perhaps they sought a more positive spiritual experience during the prominent prayer service. It is also possible that some of the editors of the Reform prayer books believed that the blessing was taking aim at themselves as either heretics or slanderers. The concern regarding heresy is that Reform Judaism broke from thousands of years of rabbinic Judaism in many facets, including believing that the Bible was written by a human, not God, and that the definition of “who is a Jew” is not limited to matrilineal descent but could be passed down from a Jewish father as well. As it relates to slander, the leading rabbis of the Reform movement are active in groups like Jewish Voice for Peace, J Street, T’ruah and many others that publicly call out Israel on the global stage. While they believe they are striving to hold Israel to a high standard, there is no question as to their criticizing fellow Jews. Knowing that the 19th blessing was composed by Orthodox rabbis who were trying to enforce conformity and control, deleting the blessing could have been an attempt to free themselves of traditional constraints. Whichever reason, the Orthodox (and still the Conservative branch of Judaism) is in the minority in keeping the blessing, as the Reform, Reconstructionist and Jewish Renewal branches of Judaism have deleted it. The non-Orthodox branches are the largest in the United States and do not fear being marginalized like the Sadducees of 1900 years ago.They have their own synagogues and do not need to pray in the handful of Orthodox shuls where the blessing against heretics is recited. In Jerusalem, there is a cemetery on Emek Refaim Street that is run by a group affiliated with Jews for Jesus. 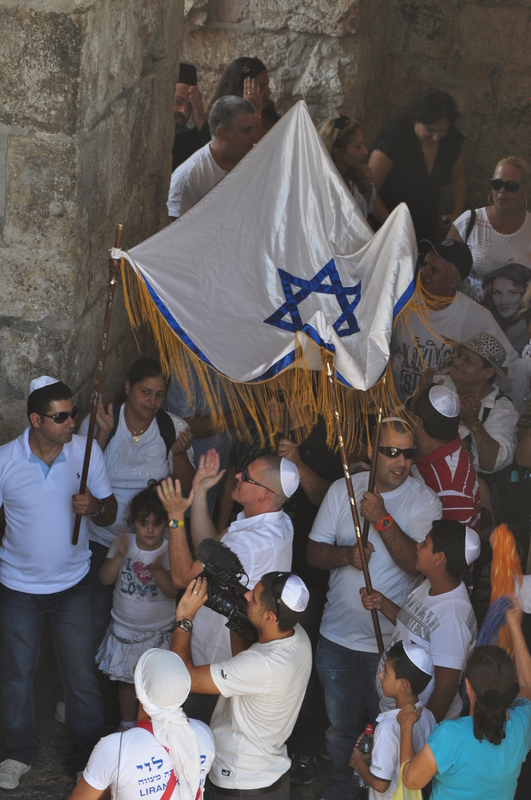 They consider themselves proud advocates for the Jewish State, but also seek to convert Jews. While Israel allows all religions to operate openly within its borders, it prohibits missionary work. The heretics who run the cemetery know this, and are careful with how they distribute their literature, walking a fine line of sharing information while avoiding proselytizing. The Jewish State has also begun to take a more forceful response to slanderers and those that actively seek to harm Israel and Israelis. Specifically, groups like Code Pink and Jewish Voice for Peace which lobby governments to sanction Israel and boycott goods are being stopped from entering the country. It is likely not a coincidence that the government of Israel has begun to act against slanderers, and the fact that the Chief Rabbinate of Israel is a political creature which only has Orthodox rabbis. Orthodox Judaism seeks a protective fence around religious practice and the Jewish people, and the rabbis have no issues calling out people who break from the insular fold and bring in external political forces to harm Israeli Jews. A theoretical office of the Chief Rabbinate which included all of the other branches of Judaism would likely not only redefine who is a Jew and the types of marriages that could be practiced in Israel, it would also likely greet Code Pink with a welcome banner at the airport. There is a gap in the Jewish people, just as there was thousands of years ago: there are those that believe in traditional rabbinic Judaism and those that reject it. There are those that seek to slander and malign fellow Jews to the world and those that condemn such actions. The Sadducees of 2,000 years ago ultimately faded away, while the rabbinic Judaism of the Pharisees became the established norm. Yet over the last few hundred years, new branches of Judaism emerged which initially only challenged the traditional rabbinic view of Judaism, and now confronts fellow Jews as well. It is the Sadducees Redux. The divide within Judaism is not new; it was just dormant. The schism manifests itself when the Jews have power to control their own destiny, as opposed to 1900 years when they were helpless minorities scattered around the world. The questions for today are whether the Pharisees (Orthodox) or Sadducees Redux (Non-Orthodox/ Progressives) will prevail in defining the future of the Jewish people, and whether they will destroy themselves and the Zionist experiment in the process. So Abbas doubled down on his fake history. Does it matter? Did he think he could negotiate a better deal with Israel with such additional insults? Obviously not. But Israel was not his audience. The entire Abbas rant was for European consumption. It is there that Abbas hopes he can force a better outcome in the Middle East. The United States will no longer be an accepted mediator. 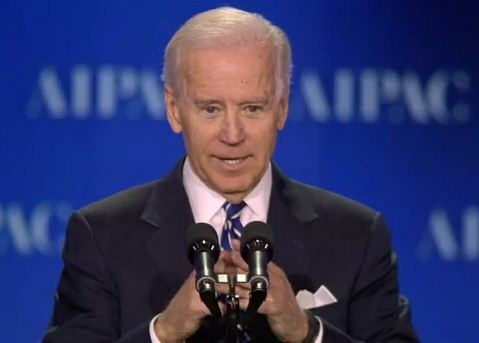 “We will not accept America as a mediator with Israel. After what they did to us… A believer does not get bitten by the same snake twice, and we have been bitten a hundred times already.” Hey EU, we need you to step in. And if you accept Jerusalem as the capital of Israel, we will reject your involvement in the peace process as well. Abbas is the sole man of peace to be a negotiating partner; the rest of the Arab world will pursue violence. “We don’t want war. We will not call for a military war with Israel. Whoever has [weapons] – go ahead and do it. I say this out in the open. If you have weapons, go ahead. I’m with you, and I will help you. Anyone who has weapons can go ahead. I don’t have weapons. I want the peaceful political path to reach a settlement. I see that there are only a few supporters of peace here. All the others are into war. The Americans are always telling us that we must stop paying salaries to the families of the martyrs and the prisoners. We categorically reject this demand. Under no circumstances will we allow the families of the martyrs, the wounded, and the prisoners to be harmed. These are our children, our families. We are proud of them, and we will pay them before we pay the living.” Abbas positioned himself as the peaceful reasonable man to run point on negotiations, even while he warns that the terrorism from all Arab Muslims will continue. This situation in Palestine is completely Europe’s fault. “We have tried to raise the issue of the 100-year-old Balfour Declaration. Some people have rebuked us for this: After 100 years you bring this up again? Yes. We brought it up after 100 years, and we still do. We will continue to talk about it until Great Britain apologizes, pays reparations, and recognizes the State of Palestine. But the issue goes back long before that, my brothers. The late Egyptian intellectual Abdel-Wahab El-Messiri was among the most important people who talked about the Zionist movement and Judaism. His encyclopedias and volumes are well known throughout the Arab world. He describes that entity as follows: ‘The functional nature of Israel means that it was evoked by colonialism in order to fulfill a specific function, and thus it constitutes a colonialist enterprise that has nothing to do with Judaism… This did not begin 100 years ago. It did not begin with the Balfour Declaration. According to my humble knowledge – and I may be wrong and it actually began way before that… It began in 1653, when Cromwell ruled Britain. Cromwell staged a coup against the king and became the head of a republic in 1653. This was 300 years prior to the Balfour Declaration. He came up with the idea of transferring the Jews from Europe to the Middle East, to this region, because they wanted this region to become an advanced post to protect the interests and the convoys coming from Europe to the East. This is a well-known story, and there’s no need to repeat it – the East India Company and all that… He asked Holland, which owned the largest fleet in the world, to transfer the Jews, but the project was unsuccessful. This was in 1653.” Abbas told the European powers that they are the culprits that stole the land from Arabs to both rid themselves of Jews and create a safe outpost in the region to protect European interests. Jews are but tools in the European colonial project. Abbas’s speech was not directed at the US nor at Israel. He views them as completely unhelpful to his plan to seize control of land and power in the holy land. Abbas addressed the European powers to rectify the wrong that he believes they perpetrated on the Palestinian Arabs. He feels that it is not only Europe’s moral responsibility, but if they want to stop the bloodshed in the Middle East through peaceful negotiations, then the only people that can make that happen are Abbas and the European leaders. 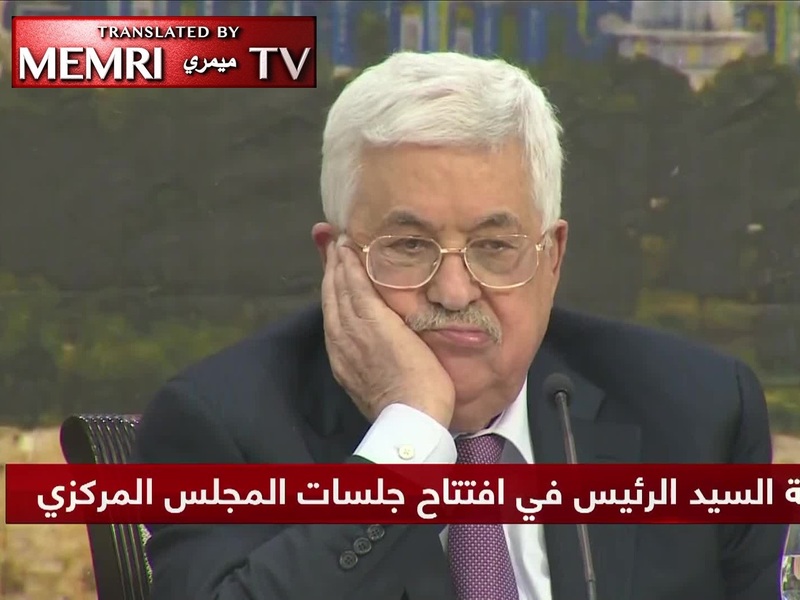 Abbas knows his audience. J Street and the alt-left in Europe will support his view that Israel must be cornered and compelled to accept the Palestinian vision. They will adopt the revisionist history that Palestinian Arabs have been passive victims for hundreds of years of European, Jewish and American aggression, and it’s time for all of them to pay compensation. 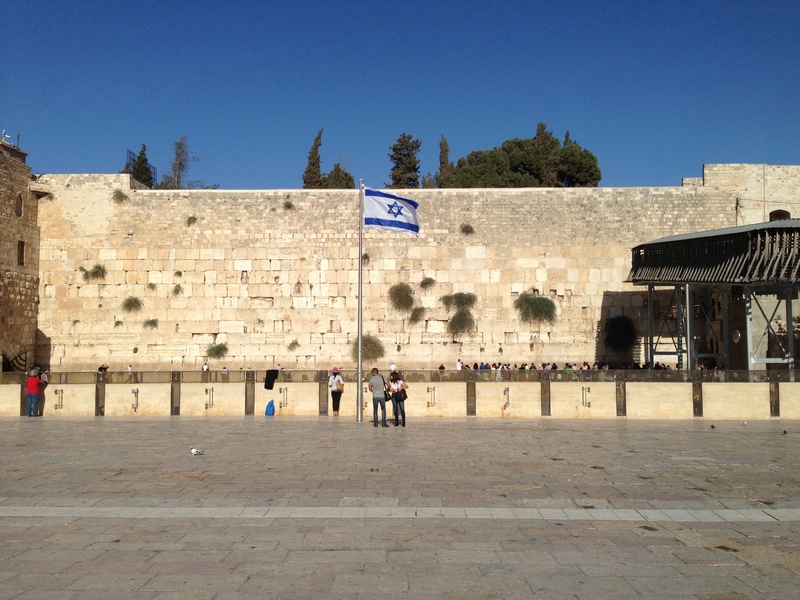 The tensions between the non-Orthodox Jewish denominations and Israel seemingly became tense over the Israeli government’s decision to postpone plans for an egalitarian prayer space at the Kotel, the Western Wall. In truth, the relationship between the Reconstructionist, Jewish Renewal and Reform branches of Judaism (the 3R’s) and the Jewish State have been terrible for a long time. 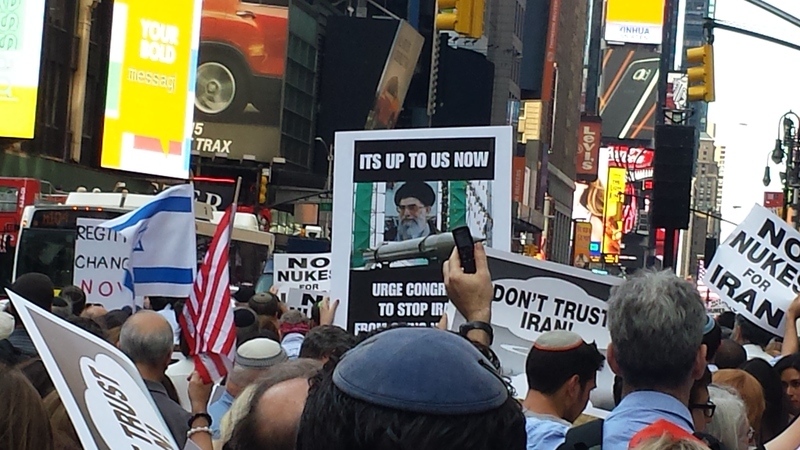 There are a number of Jewish organizations that actively seek to harm Israel in public fora. As detailed in “Unity – not Uniformity – in the Pro-Israel Tent,” the largest and most noxious of the left-wing organizations are: the Jewish Voice for Peace that advocates for a global boycott of Israel; J Street that advocates for sanctions against Israel at the United Nations; and the New Israel Fund, that supports organizations that go on global tours bad-mouthing Israel and groups that seek to destroy the Jewish character of Israel. What that article did not convey and will be discussed and explored here, was that these anti-Zionist groups are uniquely backed by non-Orthodox rabbis. 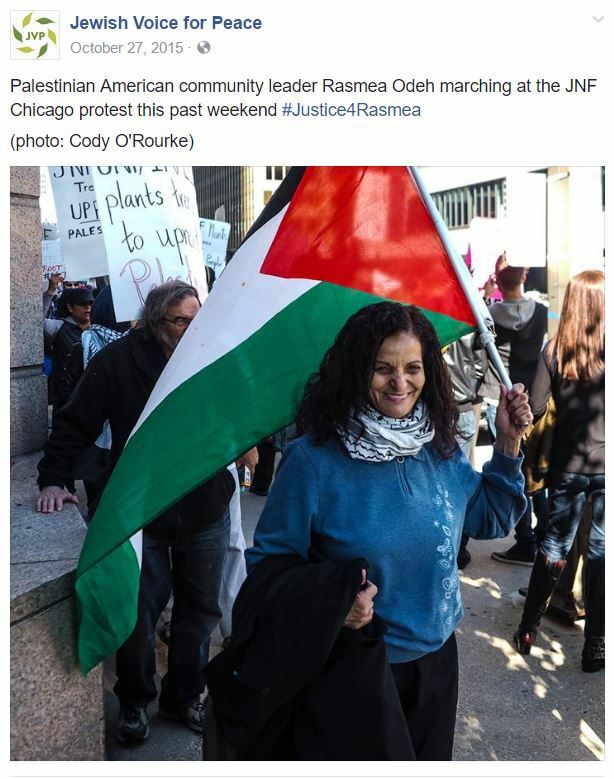 Arguably the most proudly vocal anti-Zionist group is the Jewish Voice for Peace, JVP. 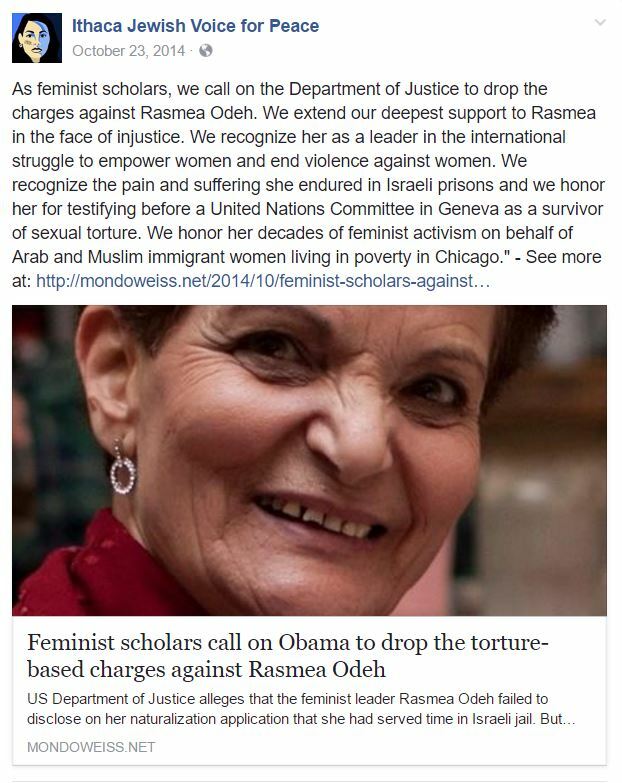 The rabbis of JVP have supported the Gaza flotilla; written books demonizing Israel as a modern day blood libel; and arguably promoted the murder of Israelis. JVP’s rabbinic leadership almost exclusively comes from the Reconstructionist and Jewish Renewal branches of Judaism. At their core, they seek a Judaism that has nothing to do with Zionism. Many are proudly anti-Zionist. The rabbis of these communities put politics front-and-center of their religion. And their politics are anti-Zionism. 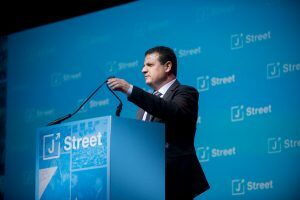 J Street officially states that it is not in favor of the BDS movement, but has supported many speakers who do call for the boycott of Israel. More, J Street actively lobbied the Obama Administration to allow the censure of Israel at the United Nations and enabling the resolution labeling Israeli territory east of the Green Line to be deemed illegal. The Reform movement isn’t explicitly anti-Israel the way that much of the Reconstructionist and Jewish Renewal movements are currently. However, the current head of the Reform movement, Rabbi Rick Jacobs is particularly political and claims that the official stance of Reform Judaism is anti-settlements. How he declared that his personal anti-Jews living in Judea and Samaria politics should frame the entire movement is something that members of Reform Judaism need to address. The New Israel Fund gives money to groups like Adalah that have a stated purpose of ending any Jewishness in Israel. It lures people to donate money stating that it is about equality in Israel – and by that it means ending the Jewish Law of Return; the Hatikvah; Jewish star on the national flag, et cetera. Relative to JVP and J Street, the New Israel Fund has many more Conservative rabbis joining its leadership ranks. But still, none of these anti-Zionist organizations that have thousands of rabbis in leadership positions have a single Orthodox rabbi. There is no question that some of these forms of Judaism revolve around liberal politics more than religion. 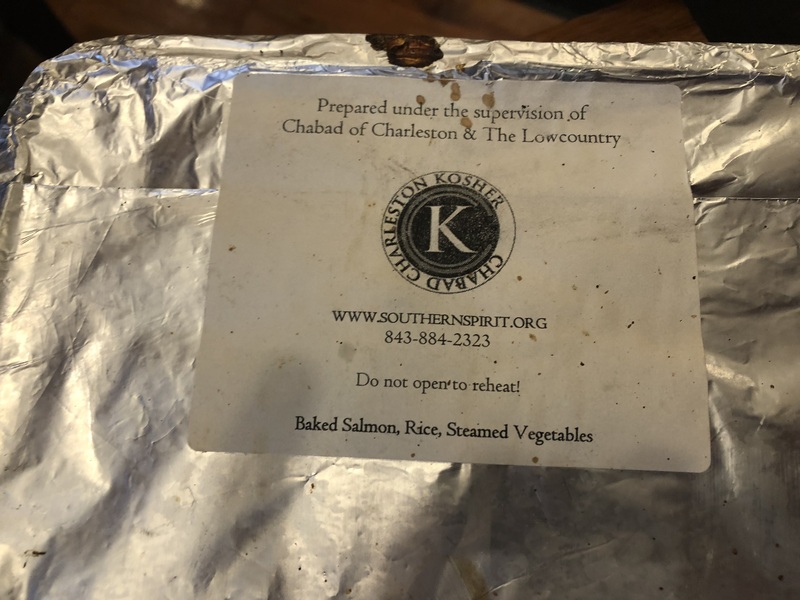 Many of the synagogues state clearly on their websites that they are focused on tikkun olam (repairing the world), and they do this not through Torah-inspired commandments like helping the widow and orphan, but in new imagined ways like raising the minimum wage and saving the planet. But there are many liberal rabbis in the Orthodox community too, and they support the Jewish State. They are proud to point out that Israel is one of the most liberal countries in the world, and certainly within the xenophobic, antisemitic and misogynistic Middle East. When liberal Orthodox rabbis find a need to criticize the Israeli government, they do it directly with the government in a constructive manner, not through antagonistic actions on the global stage. Therefore, the issue cannot be simply attributed to the politics of many rabbis in the non-Orthodox world. There must be something systemic in the religious philosophy of those denominations that make them embrace Israel-bashing. The key Jewish prayer Shemoneh Esrei recited several times every day begins with the blessing of “our God and the God of our fathers.” It encapsulates the notion that Judaism is both a religion of being, passed down physically from our ancestors, as well as one of choice – “our God” – in which each person takes ownership of his faith. In regards to being a Jew, Orthodox Judaism (and Conservative Judaism, at this point in time) have held the line on using traditional halacha in critical life events that define “who is a Jew.” Two of those are birth and marriage. Similarly, Orthodox and Conservative rabbis do not perform interfaith weddings. The rabbis in the other movements are very proud to perform such ceremonies and openly advertise their services. These two life events are obviously interconnected. An interfaith couple will have a non-Jewish parent, and about half of the time, produce a non-Jewish child according to the traditions of matrilineal descent practiced by Orthodox and Conservative Judaism. Sanctioning interfaith marriages has produced a chasm between the Reform/Reconstructionist/Jewish Renewal (3R) movements with other Jewish denominations, AND with Israel itself. Israel created a Law of Return in 1950 that allowed any Jew to move to Israel. In 1970, the law was amended to clarify that a Jew “means a person who was born of a Jewish mother or has become converted to Judaism and who is not a member of another religion.” While the 1970 amendment made provisions for the non-Jewish spouse and children of a Jew to move to Israel, the Law of Return used a definition of matrilineal descent that only Conservative and Orthodox used, upsetting other denominations that support patrlineal descent. However, the law’s clause on conversion did accept non-Orthodox conversions performed outside of Israel, as decided by the Israeli Supreme Court in March 2016. Being a Jew is simply part one. The actions and demands of the religion, the mitzvot, are part two, and the breakdown between Orthodox Judaism and the branches that seek to harm Israel are profound. In contrast, the 3R branches of Judaism have revamped the mitzvot in a way that fits a “new age” rewriting of the laws. They have made the commandments about human-centered spirituality that spreads out to God and all mankind, rather than commandments that are passed down from God to man. The Jewish Renewal site makes its mantra clear, stating it’s “a transdenominational approach to revitalizing Judaism.” Its reach is to everyone: “Renewal is an attitude, not a denomination,” with “an emphasis on accessible spiritual experience.” In other words, this is a movement without demands, such as only eating kosher foods. It is more akin to a yoga retreat. Not only is there no need to be Jewish, a person needn’t perform ancient rote rituals. Just engage in new age meditation. Reconstructionist Judaism is more traditional than Jewish Renewal, but far from “traditional.” Its emphasis is on “Jewish Identity,” as its website states: “what primarily gives Jews our identity is not belief but rather the feeling of belonging to the Jewish civilization itself. We observe Jewish holidays, rituals and customs, not because a divine being commanded us to, but because it is our primary method of reinforcing Jewish identity.” In other words, God’s commandments are not really commandments (or God doesn’t exist) for Reconstructionist Jews. The basis for observing any tradition is simply a matter of keeping the “Jewish identity” around, not because of any higher authority. These three branches of Judaism approach religious practice very differently than Orthodox Judaism. Their Judaism is centered on global mankind’s yearning to connect – to the planet and the people around the world – to achieve a personal fulfillment of serenity. 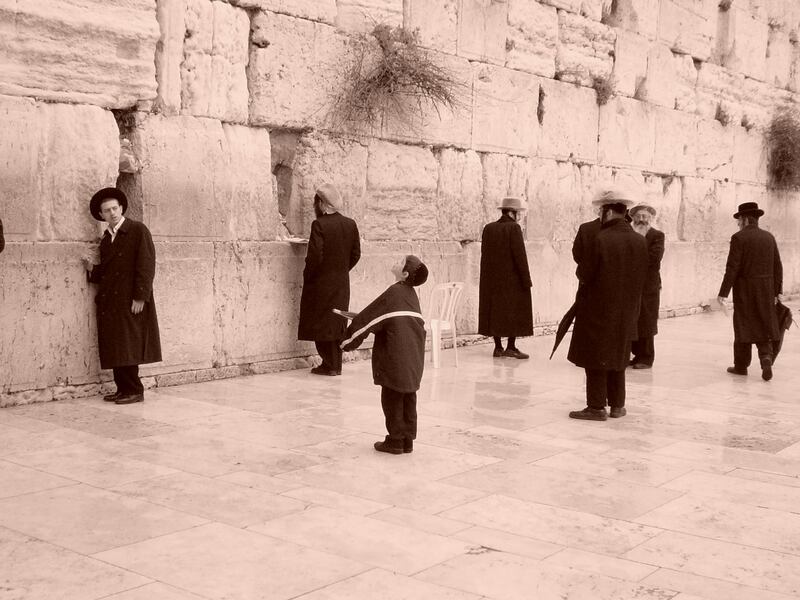 Jewish rituals are props to achieve that state of zen. Similarly, non-Jews bring their own props to their encounters with God and mankind. Universalism and particularism (of props) coexist in a human-centered meditative state of bliss. This 3R approach towards religion is an inversion of Orthodox Judaism that is premised on a top-down philosophy. The Bible and Ten Commandments began with God, not man. The 613 commandments given to Jews were just that – commandments – not guides to validate one’s own sense of social justice. These commandments were uniquely given to Jews, as Orthodoxy believes that non-Jews were given only seven commandments which relate to universal morality. The orientation of particularism of Orthodox rabbis extends broadly: to Jewish people (they do not perform interfaith weddings); the Bible (with unique commandments only for Jews); and to the holy land itself, which they believe was given to the Jewish people. According to a Pew poll in 2013, 84% of Orthodox Jews believe that God gave Israel to the Jews. That compares to only 54%, 35% and 24% of Conservative, Reform, and non-denominational Jews, respectively. By way of comparison, 55% of Christians believe that God gave Israel to the Jews. How remarkable is that? Christians are more Zionistic than non-Orthodox Jews. This dichotomy between Orthodox and non-Orthodox denominations is at the core of different approaches to the Jewish State and the holy land. For Orthodox Jews, the Jewish State is particular, just like the bible and Jewish people. In contrast, the non-Orthodox denominations focus on universalism, and shun particularism as a form of tribalism and nationalism, with more than a whiff of racism. It is therefore not a surprise that Jewish denominations that shun particularism in favor of universalism also denounce Zionism. But why would universalists attack Israel on the global stage? The fundamental approaches to Judaism, Jews and the holy land do not just lead to a difference of opinions; it destroys the baseline of communication, making discussion virtually impossible. In mathematical terms, the universalists are speaking in base 10 and the particularists are speaking in base 7. They can both understand each other in simple matters, like single digit numbers or that Abraham is the father of monotheism. But on complicated matters like a democratic Jewish State living in peace and security in the heart of the Arab Muslim Middle East, the interaction falls apart like discussing the number 242 (equal to 242 in base 10, but just 170 when converting base 7 to base 10). They are just not talking about the same thing. So rather than talk to each other, they talk to people with a similar language. The 3R rabbis take their version of tikkun olam to the global stage, like the United Nations. Whereas Orthodox liberal Jews can call out for rights for Israeli Arabs and Palestinian Arabs without vilifying Israel, non-Orthodox rabbis seemingly cannot. 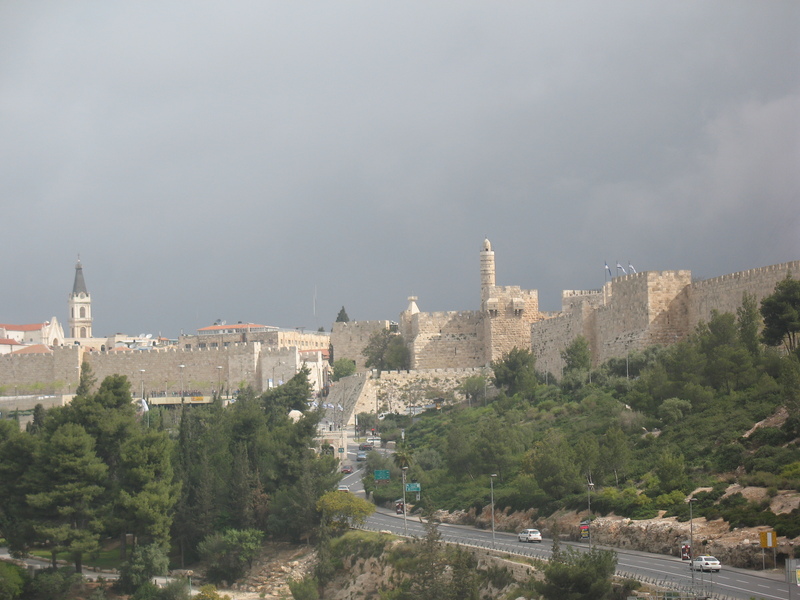 Orthodoxy can approach equality within the rubric that the holy land as special and unique for Jews, while the non-Orthodox only see tribalism and primitive thinking. The 3R rabbis burnish their bona fides by burning ties that could reek of particularism as they engage with the global community. The universalism / “anti-tribalism” movement within the 3R denominations often attacks both Orthodox Jews and the Jewish state. It has sometimes provoked a backlash. In September 2015, the Reconstructionist movement announced a new policy to allow rabbis to marry non-Jews as a reaction to the movement’s conclusion that “many younger progressive Jews, including many rabbis and rabbinical students, now perceive restrictions placed on those who are intermarried as reinforcing a tribalism that feels personally alienating and morally troubling in the 21st century.” With such declaration, several Reconstructionist rabbis became fed up. Several Reconstructionist rabbis became infuriated with the official positions of Reconstructionist’s universalism. Their new assembly felt compelled to clarify that not only did it think that sanctioning rabbis intermarrying was a destructive force on the Jewish family, it said that it “unequivocally reject[s] any movement to delegitimize Israel in the community of nations,” because the Reconstructionist movement had become a haven for demonizing the Jewish State. In short, Beit Kaplan felt that the Reconstructionist movement had lost the basic concept of the definition of being a Jew and the special nature of the Jewish State. The 3R rabbis’ Israel-bashing had started to gain momentum during the 2014 Gaza War, when many non-Orthodox rabbis actively vilified the Jewish State. The lunatic rabbinic fringe even held fasts for the people of Gaza, but not for anyone in Israel. The attitude was pervasive. Leading rabbis of JVP and J Street – all non-Orthodox – called for a divorce between Judaism and the Jewish State, and between the holy land and Jews. Non-Orthodox rabbis comfortably argued that there are too many Jews in the holy land because they segmented the religion, the people, the land and their identity. As they believe that religion is defined solely by identity, there is no need for a particular land, and no narrow definition of the Jewish people, as identity is self-selected. Non-Orthodox rabbis wrap themselves in a tallit as a mere Jewish prop in a universalistic and humanistic approach towards meditation, while they shudder at the particularism of the God of Orthodox Judaism and the Jewish State. Supporting Israel is not a battle of political orientation between liberal and conservative Jews. It is a philosophical break in the Jewish community with a fault line regarding the uniqueness of Jews and the Jewish State. The non-Orthodox denominations’ religious philosophy will only let it embrace an Israel that is: about people, not God; about rights not rituals; more secular than religious; more democratic than Jewish; and more universal than particular. Trump placed two people with seemingly little diplomatic experience – but significant deal experience – to try their hands at crafting a peace agreement between the Israelis and the Palestinians: Jared Kushner and Jason Greenblatt. 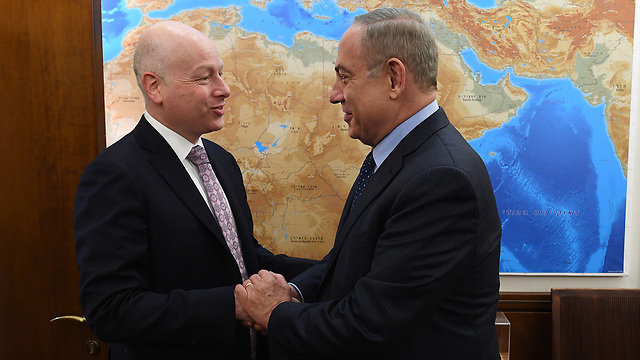 While unfamiliar with diplomatic protocol, both Kushner and Greenblatt visited the region many times over their lives. They were joined in their effort by Dina Powell, an Egyptian-American who is the US deputy national security adviser for strategy. Team Trump’s stated mission is to forge a lasting peace that would endure for the future. The negotiators will take the time to work with the parties to structure an agreement that would provide lasting peace and security. This is a break from the Obama Administration. Obama had less international experience than Donald Trump when he assumed the office of the presidency in January 2009, and relied on his “progressive” liberal colleagues to educate him on the Israel-Arab conflict. Those left-wing parties included J Street and Americans for Peace Now. These groups advocated that the administration put “daylight” between America and Israel, as negotiations under President George W. Bush (which was viewed as very close to Israel), came up short of a deal. Obama made clear – to the delight of the far-left wing groups – that he was going to push the Israelis hard to stop building homes for Jews east of the Green Line (EGL). The far-left groups believed that strong pressure on Israel was key to getting to a peace deal. They were ecstatic when Obama won a 10-month settlement freeze a few months after they met with Obama in July 2009 at the beginning of his term. They celebrated at the end of the Obama administration in December 2016, when Obama let United Nations Resolution 2334 pass declaring it was illegal under international law for Jews to live in EGL. The differences between Obama and Trump are both stark and clear. The left-wing radicals believed that they had a moment in time, and that their anointed Messiah had a unique chance to forge peace in the Middle East. They felt both emboldened by Obama’s presidency and felt the urgency of time. They pushed the Obama Administration to get to a deal as quickly as possible by pushing a solution onto Israel. Conversely, Team Trump has not shown such hubris. Their focus is not to get to a deal in the fastest time possible, but to establish an enduring peace. They recognize the fact that when Israel uprooted all of its settlements in Gaza and gave the land to the Palestinians it did not result in peace, but in three wars. Greenblatt and Kushner are content to take time to get to a lasting resolution, not the gratification of an immediate deal. They have stated that they are not going to let the UN impose a solution, like the Obama Administration advanced in December 2016. Barack Obama, Hillary Clinton and John Kerry failed to advance peace between Israel and the Palestinians and watched the region descend into chaos. Their creation of “daylight” between Israel and the US; the use of international fora to attack Israel; and their rush to embrace the approach of “Peace Now” neither got to a deal nor set the parties on the path to enduring peace. Hopefully the new approach of seasoned negotiators Greenblatt and Kushner to take their time to get to an “enduring peace” will yield much better results. J Street has long opposed Israel’s control and administration of lands that it won in the defensive war against Jordan in 1967. In 2011 it urged the Obama Administration to craft language with the United Nations that condemned Jewish “settlements” east of the Green Line (EGL/ the West Bank) – including in Jerusalem. In 2016, J Street declared victory upon the UN Security Council’s passing of Resolution 2334 with the Obama Administrations help. J Street would take out a full page advertisement in the New York Times on January 5, 2017 thanking Obama for this action. Did J Street mind that this same United Nations did not care much for the rights of Jews to pray at their holiest spot? 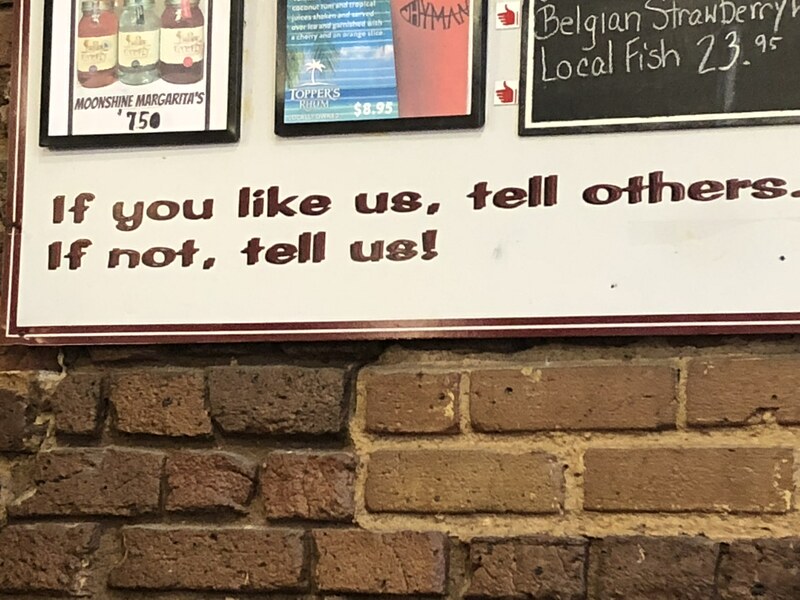 Seemingly, not at all. In October 2016, UNESCO approved a resolution condemning Israel for a wide range of violations in Jerusalem. One of these rebukes addressed the Israeli government’s attempt to create a place for pluralistic prayer along the Kotel. The “new Jewish prayer platform” was being advanced by the Israeli government in collaboration with the non-Orthodox Jewish denominations to create a space for worship in an egalitarian fashion. As with all activities by Israel in Jerusalem – even the installment of an umbrella! (above) – the United Nations condemned Israel. In its statement addressing the October 2016 UNESCO resolution, J Street never mentioned the United Nations attack on the advancement of non-Orthodox prayer at the Kotel. Instead J Street argued for the United States to restore funding for UNESCO which has been withheld after the organization admitted “the State of Palestine” as a member. J Street had moved from lobbying the far-left US Obama Administration to lobbying Americans to condemn the Israeli government. J Street’s positions often seem at odds with itself. It aggressively pushed the US to label Israeli actions east of the Green Line as “illegal,” but then condemned the Israeli government for not taking actions at the Kotel in the Old City of Jerusalem, where it claimed that the Israeli government has no legal rights at all. Does J Street believe that the Israeli government has authority to create a place for non-Orthodox prayer at the Kotel or not? If the government has no legal rights, then why condemn it? If J Street was so comfortable in stripping Israel’s authority at Judaism’s holiest site and giving it to the United Nations, then why not condemn the United Nations assault on pluralistic prayer? 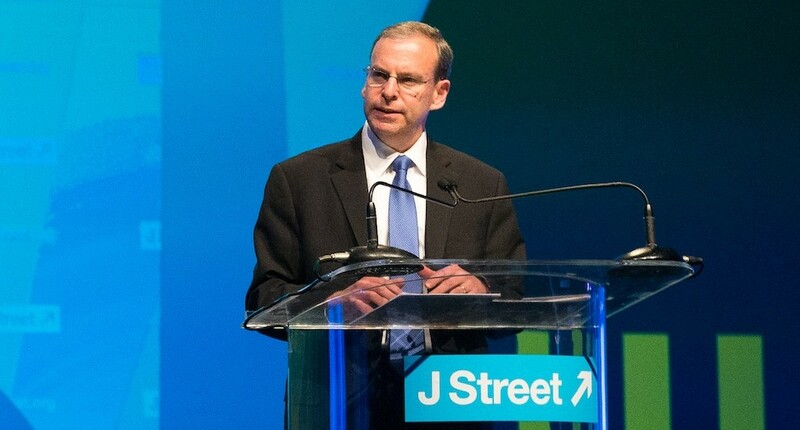 J Street is a far-left fringe group that does not represent most Americans or most American Jews, yet it lobbied successfully to push the US Administration to adopt a damaging resolution on the world stage with far-reaching implications – for ISRAEL. At the same time, J Street attacked the “far-right” in Israel for lobbying successfully for actions – in ISRAEL. Which is more outrageous? A fringe group of Americans damaging Israel on the world stage, or a fringe group of Israelis lobbying for actions in their own country?